Childhood summers spent shagging fly balls, chasing ice cream trucks and being hypnotized by blonde ponytails. And while you still relive the glory on the diamond every now and again, and the allure of the ponytail remains strong, that ice cream truck belongs firmly in the past. Introducing Shot-sicles, an off-the-menu collaboration between high-grade liquors and the popsicles that love them, available starting tomorrow at Tin Lizzy’s. 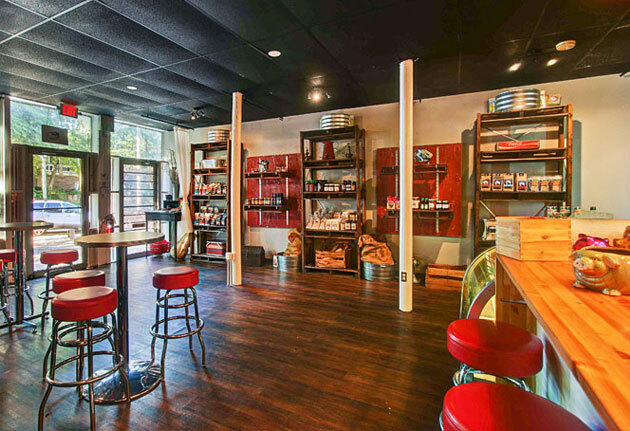 Your course of action should be as follows: show up at Tin Lizzy’s—any Tin Lizzy’s. Sit down. Order multiple steak tacos... and consume them with purpose. Once that’s out of the way, shoot your server a subtle head nod, which will be returned with a knowing grin. 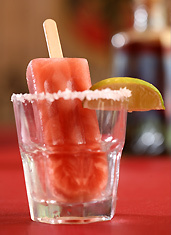 And then, before you know it, a Pomegranate, Habanero or Texas Margarita Popsicle will arrive, melting ever so slowly into a salt-rimmed shot glass filled with tequila. There’s also the Classic Mojito (lime, mint and a shot of rum) and the Southwestern Chocolate (cinnamon, cayenne, vanilla, nutmeg and clove swimming in a whipped cream vodka shot). Oh, and all of these glorious sticks will be provided by your favorite roving popsiclery, the King of Pops. So you’d almost consider a booze-free version. Almost.